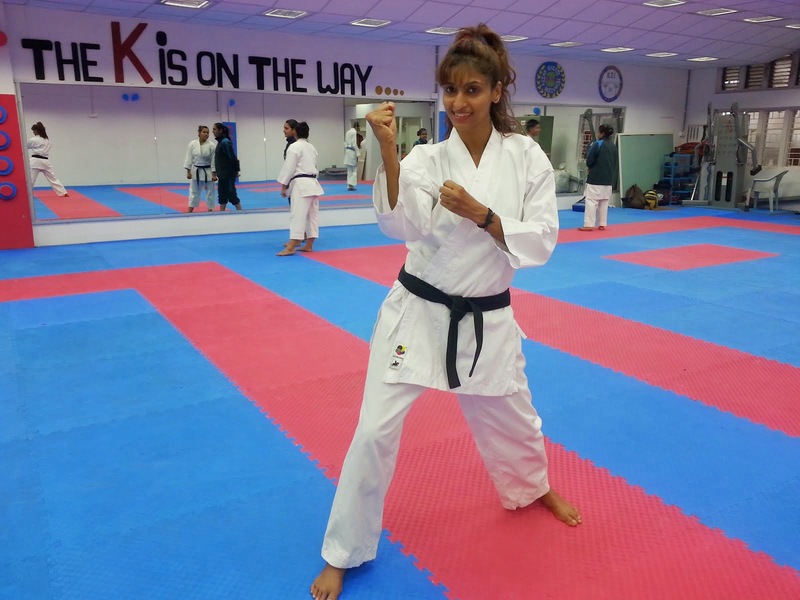 MUMBAI: The dashing model Sandhya Shetty is one more step closer to represent the Indian Karate team for the forthcoming Asian Games 2014 to be held at South Korea in the month of September. Sandhya successfully completed the recently concluded first National Karate Training Camp of 20 days at T.T. Nagar Stadium in Bhopal, Madhya Pradesh. She is all charged up and set to participate in the second camp scheduled to start on 10 July 2014 at the same venue. "The 20 days camp in Bhopal was like going from one strength to another level. Test for endurance, agility and discipline was the highest order. The next camp, I 'm looking forward to learning more skills, tactics and sharpening my existing techniques. The challenge of being on the top is one thing that I will take up with a smile on my face," says a confident Sandhya shetty. Speaking about the facilities at the Bhopal camp, Sandhya is all praise for Karate Association of India (KAI) President Karate Thiagarajan, General Secretary Bharat Sharma and Sports and Welfare Ministry of Madhya Pradesh for organizing the camp and providing good coaches like Sensei Jaidev sharma and Sensei Ratan gambhir and excellent training sessions for Indian Karate Talent. 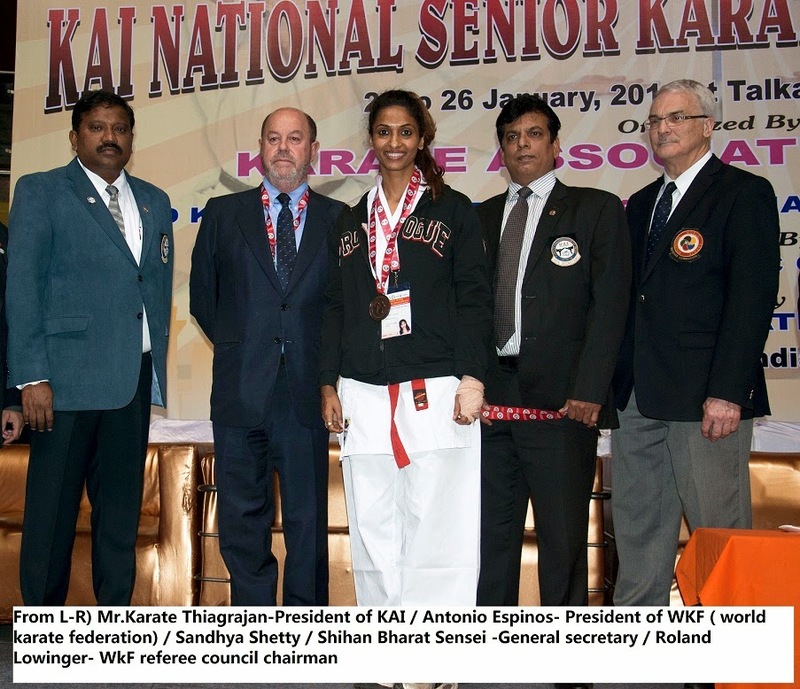 Sandhya got selected as Indian Karate team probable for the forthcoming Asian Games after her prestigious Bronze medal winning performance in KAI Senior National Karate Championship held at New Delhi in January 2014. 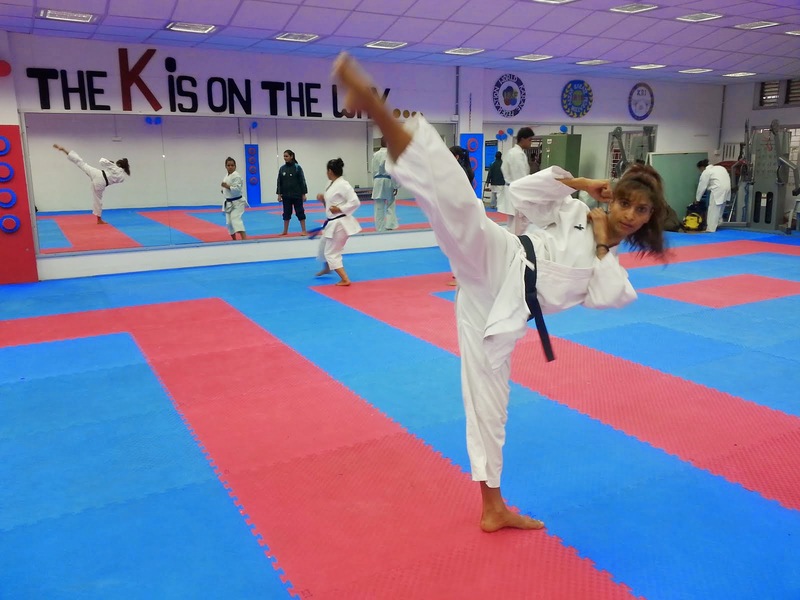 Sandhya has been practicing karate for the last nine years with Sensei Sallauddin Ansari and has won many state and national level championships. Currently she is a 'black belt' in Goju Ryu style and a Silver medalist at the 34th National Games of India held at Ranchi representing the state of Maharashtra in 2011. 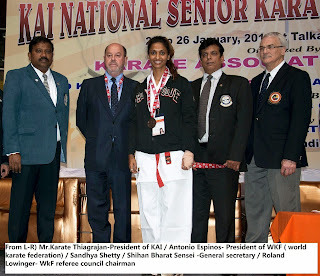 No Comment to " Sandhya Shetty is closer to represent India in the Asian Games 2014 "